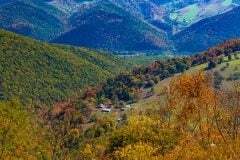 The mountain highlands in the state of West Virginia are home to countless mountain motorcycle rides as the state falls entirely within the Appalachian Mountain range. 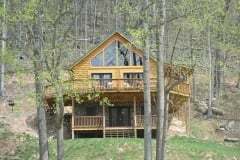 Harman’s is located only 12 miles from Seneca Rocks in the Seneca Rocks/Spruce Knob National Recreation area. Seneca Rocks is one of the starting points for some of the best motorcycle touring in West Virginia. 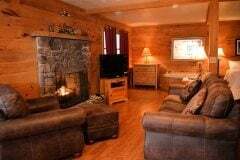 We welcome motorcyclist to our luxury log cabins. Best of all, each cabin is equipped with a private outdoor hot tub, the ideal amenity after a full day in the saddle. 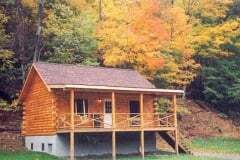 Our location in Hopeville Canyon with spectacular views of rock cliffs and the winding North Fork River make Harman’s a favorite lodging in West Virginia. The road at the property entrance been upgraded with the motorcyclist in mind. 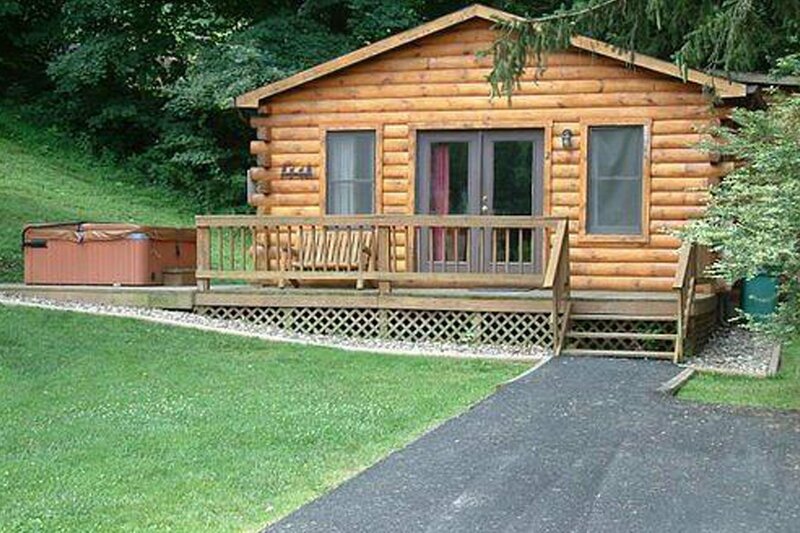 We paved the road, which includes access to log cabin #1 to #8. Our upstream property is accessed by a very level gravel packed road. 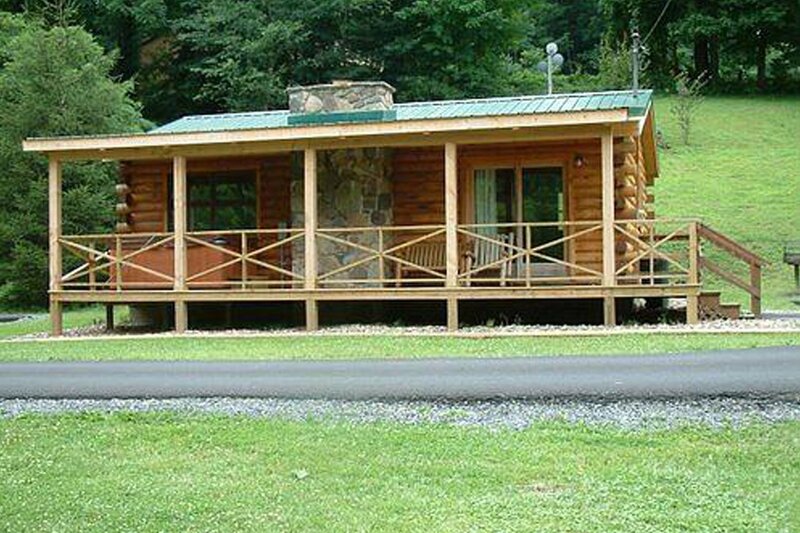 Log cabins #9 to #15 are located on level ground. Log cabin(s) #16, #18, #20 are on an incline and accessed by a gravel road. 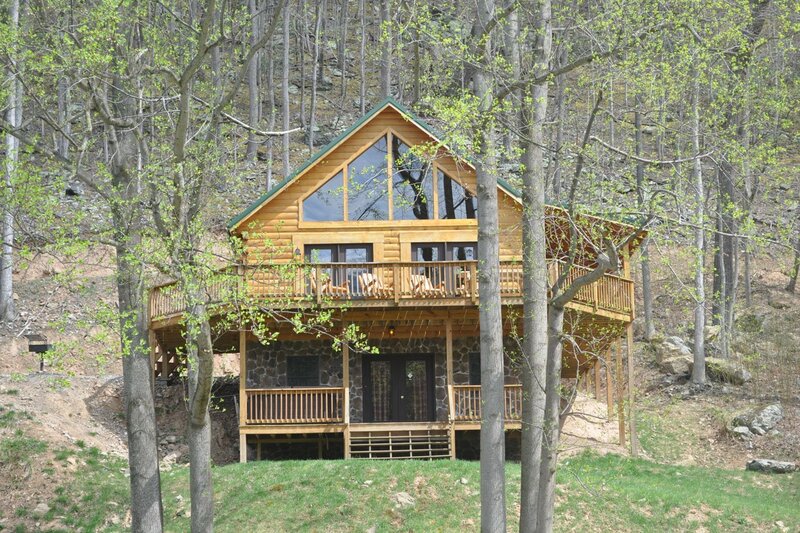 Cabin #16, #18 and #20 are some of our most popular cabins. If you choose to stay at either of these luxury log cabins, a short walk will be necessary to access your cabin. We are ever mindful of the motorcyclist and have tried to provide parking for bikes and trailers. A few favorite motorcycle rides from Harman’s. 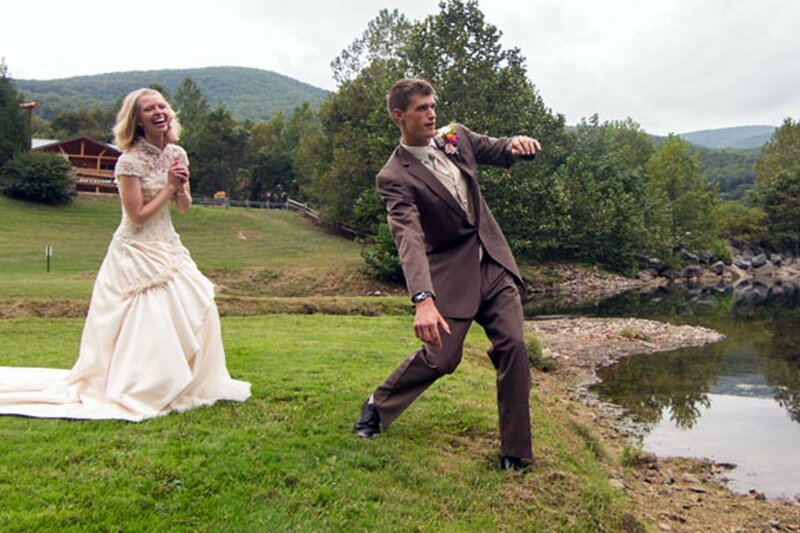 Voted #12: U.S. Route 33, Harrisonburg, Virginia to Seneca Rocks, West Virginia. 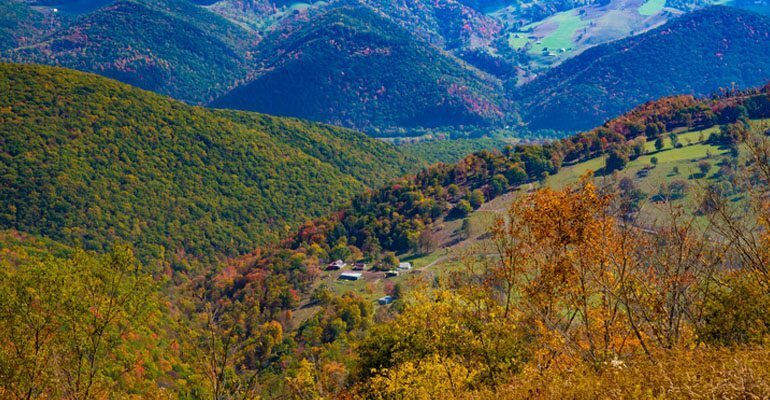 This 65-mile stretch of highway runs through the Shenandoah Valley between Virginia and West Virginia, offering beautiful mountain passes and challenging turns. MotorcycleRoads Mobile ranks U.S. Route 33, to Seneca Rocks, West Virginia s one of America’s best motorcycle roads. Mountains & Streams Ride (150 miles) – When you arrive at Seneca Rocks rising out of the South Branch of the Potomac River, you’ll want to stop and walk to the top. Between Seneca Rocks and Elkins you’ll travel over mountain chains up to 4,000 feet, then drop down to 1,984 feet in Elkins. You’ll cross an estimated thirty mountains and twenty streams on your way back through Durbin to Bartow. 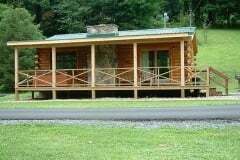 Canaan Valley Tour (151 miles) – Wide open valleys dotted by old logging towns builds the character of this landscape. This region is an outdoorsman’s paradise. 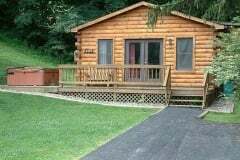 On your trip you can visit Blackwater Falls State Park for a magnificent waterfall, Canaan Valley State Park for wildlife Motorcycle for its fauna and scenic vistas. Along the way, you can take a ride on the Potomac Eagle Scenic Train or take a side trip to visit the Nancy Hanks Memorial; birthplace of Abraham Lincoln’s mother.